What made him a serial killer? Was he born with homicidal tendencies? Did a harrowing childhood render him criminally insane? The questions haunt, Additional Commissioner of Police, Maithili Prasad as she discovers the horrific murders across Mumbai. As she spearheads the greatest manhunt in Mumbai s history, she s determined to contain the reign of terror unleashed by the ruthless serial killer. But before that she must grapple with her personal demons that surface to plague her with self-doubt. Just as it seems that Maithili has begun to understand the deep-rooted resentment that drives the serial killer, he turns around and makes her the object of his revenge. Will she emerge unscathed from this ordeal? This thrilling narrative of a serial killer's life and the unusual and challenging investigation to catch him, uncovers a chilling trail of unspeakable torment and cruelty the tale of... Raakshas. As blurb mentions, the plot is about a serial killer and the circumstances in his life which changed him to a Rakshas/ demon. There are two parallel stories covered from the starting - one about the life of serial killer and another about the woman police officer Maithili. It is interesting to see how these two stories are run in parallel and connect at the end. I am not a big fan of psycho- thrillers but loved this book. I usually like murder investigations and detective novels, so loved the chase between Maithili and the killer. The narration is gripping and I couldn't close the book until I finished reading. It surely is an on the edge thriller. The author also gave a bonus section at the end of the novel about the serial killers in India, their mindset, and the reasons behind. I liked the way the author mentions in the epilogue that serial killers have serious mental illness. Serial killers have some defect in their brain which causes them not to feel the pain of others and not even their's. That is the reason they are strong and can sustain large blows and severe torture. The book cover and title are very apt. 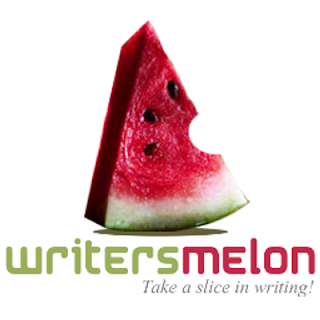 The pace of the story is more than medium and had that suspense element till the end. Characters are portrayed in very detail. Being a sensitive person I am, it was difficult to read about the torture that Raakshas's father puts him in his childhood. I can understand how the circumstances and society around us mold the kids and their future, but the father's episode and the sadhu's activities made me upset even after completing the novel. Overall, it's a wonderful read and I recommend this to suspense lovers. Piyush Jha is an acclaimed film director, ad filmmaker and the author of bestselling crime-fiction novels. A student political leader at university, he pursued a career in advertising management after acquiring an MBA degree. Later, he switched tracks, first to make commercials for some of the country s largest brands, and then to write and direct feature films. Piyush s films Chalo America, King of Bollywood and Sikandar are noted for their unconventional subject matter and for their relevance to contemporary society. Piyush s earlier novels Mumbaistan, Compass Box Killer and Anti-Social Network are page-turners that explore the gritty, noir landscape of crime in Mumbai. Currently, Piyush is developing a crime-based TV show for a leading entertainment channel and he s also working on his next feature film as a director/writer. 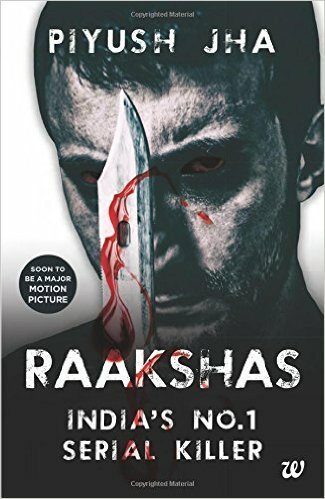 Raakshas- India s No. 1 Serial Killer is Piyush s fourth crime thriller novel. PS: I have received a free kindle copy from the author in exchange of a review and this is my honest opinion on the book. Yes Maliny. I enjoyed reading it and couldn't find any negative about it. But i should earn you that few episodes in the story are disturbing. I don't prefer thrillers. But your review made me to give a try.